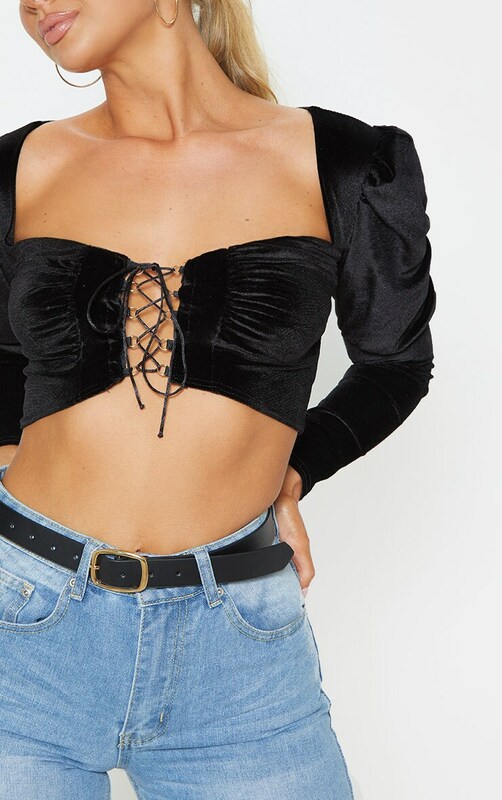 This crop top takes any look to the next level. 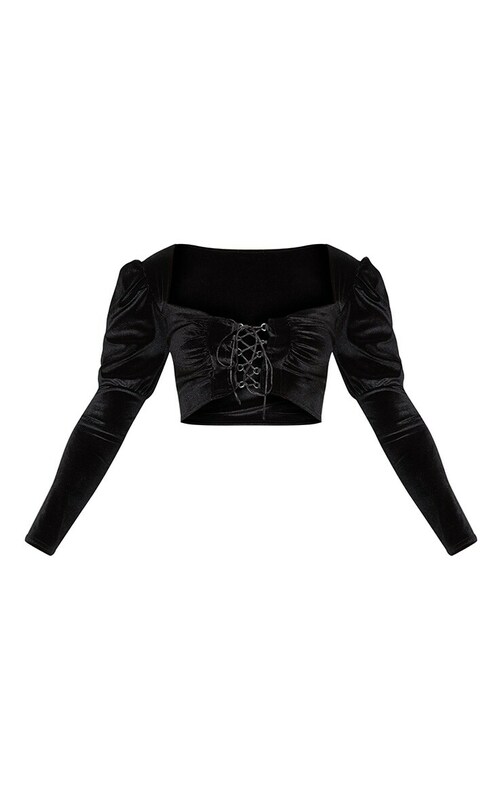 Featuring a black velvet material with a hook and eye fastening, long sleeves and a cropped length. 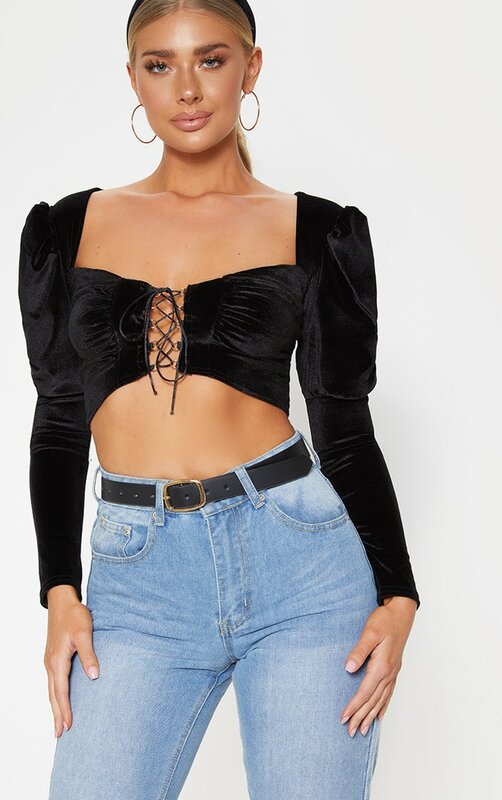 We love this teamed with jeans and strappy heels for a desk to drinks attire.